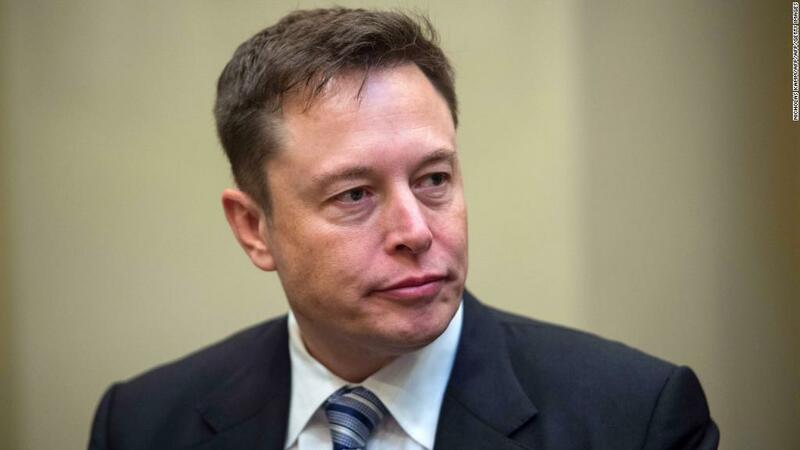 Tesla's stock tumbled Friday morning after the SEC sued Elon Musk for misleading investors. Musk tweeted on August 7 that he had secured funding to take Tesla private at $420 a share. Typically, stocks match takeover prices that a company publicizes. Investors assume the deal will be completed and the company will eventually be worth the price at which the company says it will be sold. However, skeptical investors never believed Musk, and the stock never approached anything close to $420 a share. It rose as high as $387.46 on August 7 and tumbled since then. Their skepticism was for good reason: Musk had never secured the funding, the SEC alleges. He abandoned the plan to go private three weeks after he first tweeted about it. The stock fell as low as $265 after the bell Thursday, 14% below Tesla's closing price for the day. Including the off-hours plunge, Tesla's stock has plummeted more than 29% since Musk's infamous tweet. 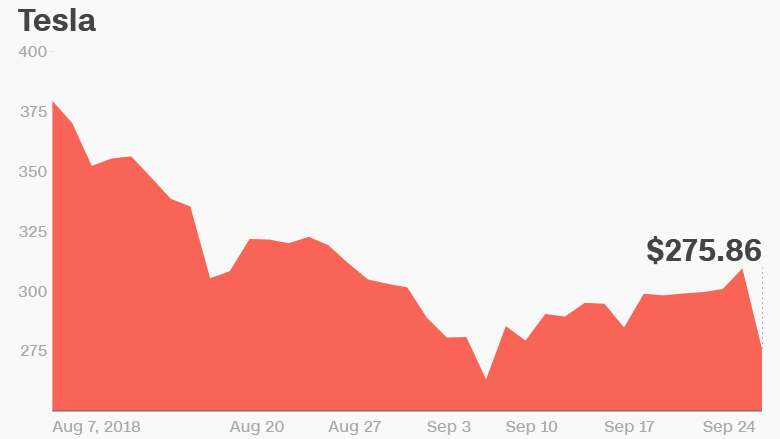 Tesla's (TSLA) falling stock price could come back to haunt the company. Tesla is burning through cash to build expensive plants and cars, but it badly needs that money to pay about $1 billion in debt by February 2019. Most of that would convert to stock if Tesla's price holds above $360 — but that seems unlikely. If Tesla needs to pay back its debt with cash — and if the company lacks the cash to pay it — Tesla could raise the money by issuing more debt or stock. But that could further deflate its stock price, depressing the amount of capital the company has to spend on new infrastructure to build cars. Musk has denied that the company faces a cash crunch. He says increased Model 3 sales will generate enough cash to finally make Tesla profitable in the second half of 2018. The SEC's lawsuit could cause other problems for Tesla. The agency has asked a federal judge to prevent Musk from serving as an officer or a director of a public company, among other penalties. That's a serious concern for Tesla, which Musk built from scratch into a multibillion-dollar company. He's the carmaker's chairman and CEO.